nikitonsky: Don’t get me wrong—I used to love Windows Phone 8. Beautiful, strong, fresh design, good usability. But with Windows Phone 10 Microsoft is returning to its roots. Somebody at Microsoft decided that alarms need names. 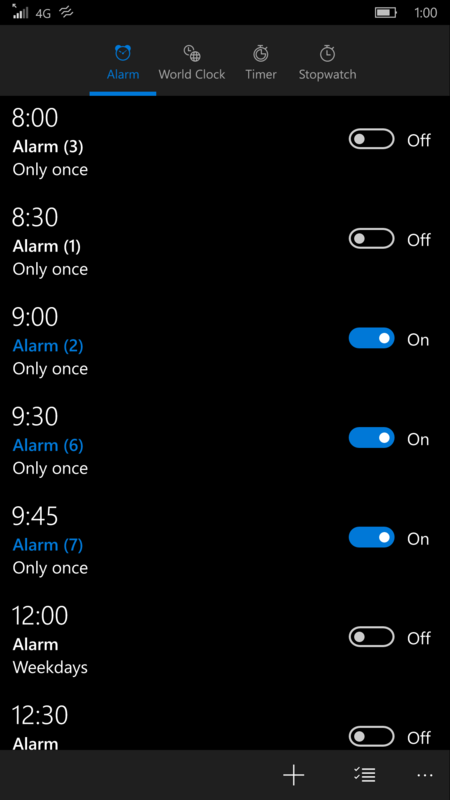 But asking people to name each individual alarm would be too much even for Microsoft, so they decided to auto-generate those names. Good old “New Folder (7)” times, all over again. Not everything has a name. Some things naturally do. Some don’t. Books have names. Pictures have not. Pictures are equal to themselves, there’s no _natural_ textual summary for them. Any attempt to force such name would end up with something useless like “IMG_20171103_221313.jpg”. Movies have titles. TV episodes are trickier. Text documents have names sometimes, sometimes they don’t. And no, “Untitled Document” is not a good default value. It’s better (and more natural) to not have name for a text at all.